The Polish Cultural Council’s mission is to showcase the best in the Polish arts and sciences and promote unity among the region’s Polish-American community. The PCC is a 501©3 organization that makes grants to worthy causes that fall within our mission statement. 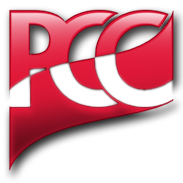 The PCC has its roots in the Central Council of Polish Organizations. Founded 80 years ago to foster coordination among the myriad Polish fraternal, social and religious organizations,the PCC has expanded its role in the lives of Polish Americans in western Pennsylvania. We partner with community institutions such as WQED-FM, University of Pittsburgh, the Carnegie Museums and Soldiers and Sailors Memorial to sponsor and produce a variety of Polish cultural events, programs, lectures and exhibitions. The focus of our activities includes contemporary Polish artists, theater and film. In addition,we have not forgotten that our roots in the United States trace back to the Jamestown settlement. We offer displays of traditional Polish art and dance. We publish a quarterly newsletter, The Polish Journey, which reaches over 4,000 interested individuals, organizations and members.